Who said Marketing Monday only had to take place on Mondays? Okay, okay. But I love this topic and wanted to be sure to armchair quarterback this: one of my favorite marketing days of the year. I love jokes. I think I have a pretty good sense of humor. But I have never been a big fan of pranks. I think it's the tendency for pranks to swing mean-spirited or cruel that I really have an issue with. Making people laugh? Aces! Causing people discomfort or stress? Boooooo. BOOOOOOO. That said, I find April first absolutely fascinating from a marketing perspective. I love seeing what emails are awaiting me that day, what starts picking up traction on social media, and what brilliant (or not so brilliant; more on that in a bit) things Google tries. It's a day where companies can be fun and funny and show off their wit, but wherein they need to walk a fine line to be successful as well. Here are a few April Fools' tricks that I think were well-executed, and one or two that I think missed the mark. First of all, "cupcation" is cute and clever. But as for the meat of it: I know that Red Velvet is one of this nationwide cupcake chain's best sellers. I found it highly suspect that they'd do away with it, especially in an email announcement on April first. With that in mind, I clicked through to their site to confirm that it was in fact a joke, but there was no such confirmation: there was only information about Black Velvet. I took a look at their Twitter feed, thinking that confirmation might be there. And it was: not in the form of an announcement, but rather in replies to distraught customer inquiries asking if it was a joke. Most of the tweets I looked at were in response to this tweet. Your eyes do not deceive you: that incomplete image is actually what was uploaded to Twitter, and there it remained. Farewell, Red Velvet... hello, Black Velvet! 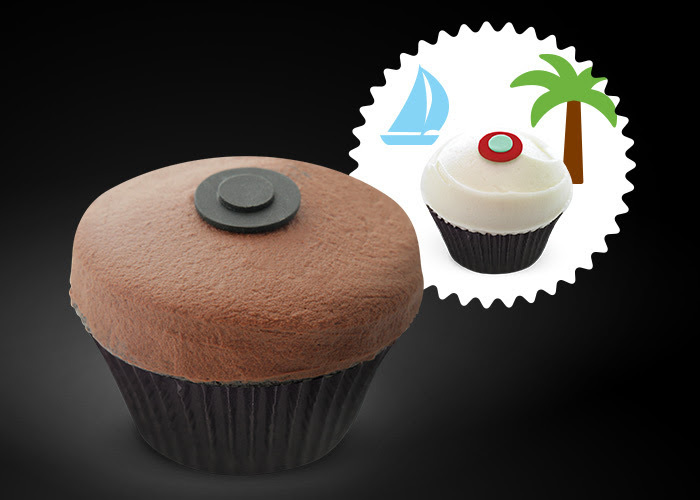 Red Velvet is old news.. we've sent this flavor on a well-deserved cupcation and replaced it with our new Black Velvet. Scroll down to meet your new favorite! I don't know about you, but I cringed particularly hard for the bride concerned about the cupcakes she'd ordered for her wedding. Not causing your customers extra stress is, or should be, a primary concern. Fortunately she seemed to take it in stride, but this is exactly why, if you're going to attempt to pull off an April Fools' prank on your customers, you'd better be darn sure of the execution. This could have just as easily gone the other way. @sprinkles NOOOOO!!!!! Red velvet is the very best and the only one I buy!!!! @sprinkles - Nooo pls say it ain't so. Red velvet is my favorite. In fact the only one I eat. I just recently found you guys don't do this! @AdaSD Happy April Fool's :) Red Velvet is here to stay! From what I could see, responses were generally good-natured. Still, I think this could have been handled better. It would have been perfectly appropriate to have this announcement on the landing page for when people clicked through. The idea behind the special edition Black Velvet cupcake is a fun one, and this April Fools' prank could have been pulled off in a more savvy, customer-focused fashion. To me it missed the mark. People were left really wondering if their favorite product was leaving, and the only way they were able to find out was by tweeting at the company or combing through their replies on social media. Not the best strategy, in my experience. I'd love to hear your thoughts: Am I being too hard on Sprinkles? And finally, the master of fooling: Google. There is even a Wikipedia article outlining past Google April Fools' Day pranks. This year, two caught my eye. One, because it was ill-conceived and predictably went pear-shaped (adding a "mic drop" to people's emails, and what happened when they didn't realize it, then blocking any replies to that email so the sender would never see the conversation again) and got pulled early, and the other because it was cute, funny, and started out as plausible but by the end was clearly a joke. What marketing pranks caught your eye this year? Is there one you've always wanted to see?